The Rocklin Firefighters' Association sponsors an annual Childrens' Easter Egg Hunt and Santa's Christmas Tour. Additionally, they host an annual pancake breakfast and holiday toy drive. The Rocklin Firefighters’ Association sponsors an annual Childrens’ Easter Egg Hunt and Santa’s Christmas Tour. Additionally, they host an annual pancake breakfast and holiday toy drive. 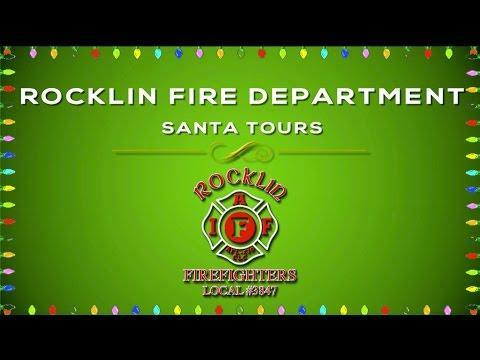 Every December the Rocklin Firefighters are called upon to assist Santa Claus in visiting the neighborhoods of Rocklin. This tradition has been occurring in Rocklin since the 1970’s and has continued to be a favorite event of families in the community. You can follow Santa each night from the the Rocklin Firefighters Local 3847’s Facebook page.